Released in celebration of DanceDanceRevolution's 20th anniversary. Songs are divided into 3 categories: POPS, EDM, and BEMANI, and they can be in more than one category at the same time. How To Play and the Lesson songs have their own categories as well. First BEMANI game to feature licensed songs from SPINNIN' RECORDS and FARM RECORDS. Most KONAMI original songs are associated with a number of fictional labels invented for the game. The labels' logos appear on the song jackets. Songs that previously appeared in the location tests, crossovers from other BEMANI titles, and Impress do not include any sort of logo on their jackets. The menu BGM is composed by DJ TOTTO. All modifiers except for speed mods are shared between Solo and Group play. Speed mods must be set separately. LIGHT: allows two songs (only one in the Korean version). STANDARD: added on April 27th, 2018: two songs and access to EXTRA STAGE if requirements are met. Requires PASELI. STANDARD is available for coins in both Asian and Korean versions. It is unavailable in U.S. machines due to the software being based on a Japanese version of the game. In Korea and Thailand, its price is double the credits of LIGHT. In Australia and New Zealand, its price is the same as LIGHT. In Indonesia, Hong Kong, Taiwan and the Philippines, the price ratio of LIGHT to STANDARD ranges from 3:4, 4:5 and 5:6. STANDARD is available for electronic money in the Chinese version. PREMIUM: only one song can be played, but allows the player(s) to record the entire run of the song (barring certain songs that disable this feature). PREMIUM is disabled in U.S.A. due to COPPA guidelines, as confirmed by Round1 themselves here. PREMIUM is unavailable in Chinese, Asian and Korean versions due to the software being based on an earlier version of the game. Customization options for note sound FX were added on October 16th, 2018. Options for displaying judgments and score in PREMIUM videos were added on November 5th, 2018. 50th Memorial Songs -二人の時 ～under the cherry blossoms～- BEMANI Sound Team ? ? ? ? 50th Memorial Songs -Flagship medley- BEMANI Sound Team ? ? ? ? 50th Memorial Songs -The BEMANI History- BEMANI Sound Team ? ? ? ? The following songs can be unlocked from the song selection screen with stars (★), which are obtained by clearing songs. For a complete breakdown of how many stars can be obtained, please see this page. Completing Discount Missions will provide discounts for songs. Clearing 1 Mission provides a 10% discount, clearing 2 Missions provides a 25% discount, and clearing 3 Missions provides a 50% discount. Missions can be completed in any order. Mission progress is not counted until a song's prerequisites have been completed except for number of songs unlocked. Note: Before May 17th, 2018, Mission B for Where's The Party At was "Clear BLOW UP".
? Disco Nights ? ? ? ? Disco Nights Relect ? ? ? ? A new type of mission, called "Discover Missions" (ディスカヴァーミッション), was introduced on October 17th, 2018. Unlike regular Missions, Discover Missions must be completed first in order to be able to unlock the song. Be My Baby Unlock Thank You Merry Christmas -DANCERUSH Mix- Accrue 5 or fewer BADs on any 10 songs (not counting EXTRA STAGE) Score 90.000 or higher on Let's Go Score 90.000 or higher on Don't Stop!! After completing the Discover Missions, you are then able to complete Discount Missions like other unlocks. EXTRA STAGE became available on April 27th, 2018 for STANDARD Mode only. To access EXTRA STAGE, players have to fill the EXTRA GAUGE by obtaining more than 180.000 points combined between 1st and 2nd Stage, regardless of difficulty and level of the songs chosen (Lesson songs can also be used to access EXTRA STAGE). During EXTRA STAGE, an EXTRA STAGE category is available, with some songs exclusively available during EXTRA STAGE. Players can also choose other songs from other categories. While playing EXTRA STAGE, the life gauge is replaced with an EXTRA LIFE GAUGE, represented by 10 Hearts. Each BAD (not counting JUMP and DOWN notes) removes one Heart, and once all 10 Hearts are depleted players will fail the stage. EXTRA STAGE songs can also be unlocked for normal play by purchasing them with stars (★). Note: These songs cannot be unlocked if playing on a cabinet in the US, due to PASELI and thus STANDARD mode and EXTRA STAGE not being available. Impress: 200★, cannot be purchased until after clearing it on EXTRA STAGE. FLOWER (STARDOM Remix): 300★, appears in the EXTRA STAGE category after unlocking and clearing Impress. RISING FIRE HAWK: 200★, available from July 25th, 2018. Midnight Amaretto: 200★, available from August 22nd, 2018. THE SAFARI (STARDOM Remix): 200★, available from September 5th, 2018. DUB I DUB: 200★, available from January 9th, 2019. These songs were added to the EXTRA STAGE folder on January 29th, 2019. The following songs can be unlocked by obtaining 9 play stamps. Stamps are obtained for the 1st, 3rd and 4th plays of the day. Each stamp up to the 8th also gives a star bonus. The SPARK FESTIVAL event started on July 13th, 2018 and ended on August 31st, 2018. The concept of the event is based off of an EDM festival and is split into two parts, RISING DAY and SUNSET DAY. The unlock system is presented as a timetable divided into sets, each one featuring a different artist. During an artist's set, a new song will be available in the "NOW PLAYING" section. Each credit spent progresses the timetable and each set takes six credits to finish. Once a set is finished, the song can be unlocked for normal play by purchasing it with stars (★). Like with regular unlocks, completing missions will discount the number of stars required. The event was revived from February 15th to April 5th, 2019. Event progress is multiplied by 1.5. 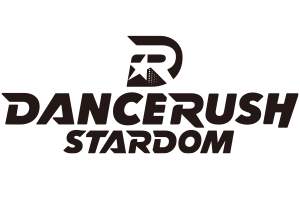 The DANCERUSH STARDOM GYM event started on September 20th, 2018 and ended on November 4th, 2018. In order to unlock new songs, players have to clear five gym programs by advancing of one hour each program's clock. Bad Riddim: 30★, unlockable from September 20th, 2018. Second Heaven -Samba,Samba,SomeBody MIX-: 30★, unlockable from September 27th, 2018. Forgetting Machine: 30★, unlockable from October 4th, 2018. Hastur: 30★, unlockable from October 11th, 2018. Don't Be Afraid: 30★, unlockable from October 18th, 2018. This page was last edited on 19 April 2019, at 01:33.